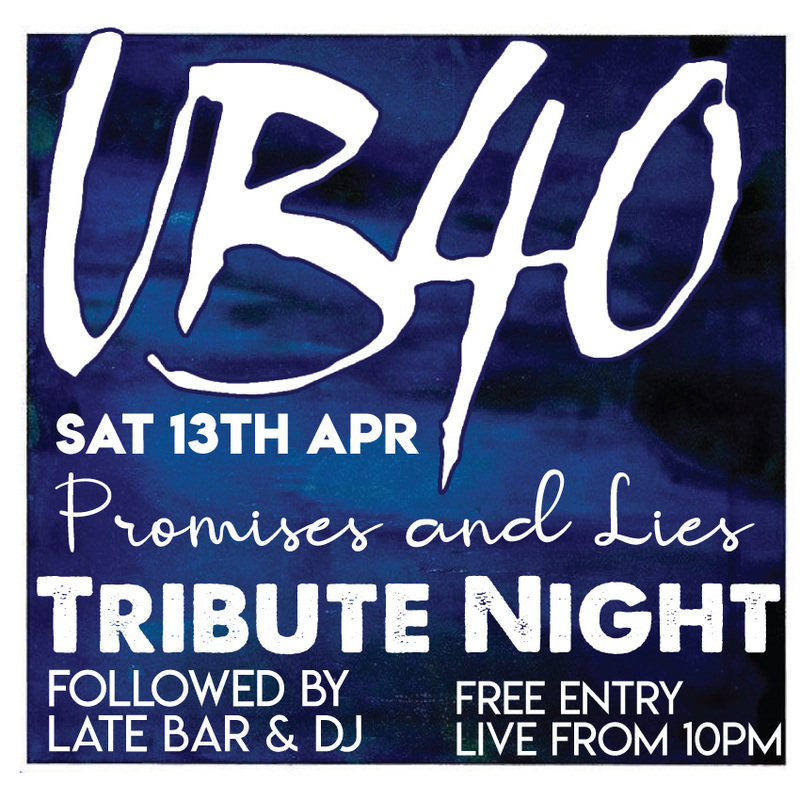 UB40 Tribute - Promises and Lies live at Molloys Bar and Grill Saturday the 13th of April 2019 live from 10pm. Promises and Lies - UB40 tribute band. Formed in 2010 Promises and Lies are an eight piece authentic tribute to the boy's from Birmingham. There a Dublin based band who love keeping the music from the boys in Bermingham alive. In 2014 they played an after party when UB40 played the academy. UB40 brass section joined them for approx eight songs. Brian Travers (UB40 Sax player) gave them the ultimate compliment by saying their the closest he's heard to the real thing.